The majority of senior citizens would much rather stay in their own homes or with their family. The advantages of home-based caregiving in most cases are manifold and beyond dispute. Once your doctor has given the green light, it is time to start looking for a reputable and reliable Caregiving Service. It is critical that you have complete peace of mind that your family member is being cared for with compassion, respect, dignity and utmost professionalism. 1.Home Health Care: This refers to a skilled professional (Registered Nurse), who is registered with the South African Nursing Council (SANC). 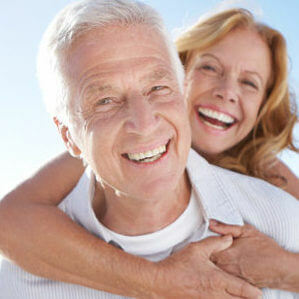 They will provide a range of medical services at home and negate the need for a nursing home. Your doctor will prescribe the type of skilled care needed and in some cases the costs can be covered by your Medical Aid. 2.Home Care: This involves a Caregiver, who provides assistance in the home and attends to the elder’s personal needs (bathing, dressing, eating, house cleaning, etc.). Since many elders require this type of care rather than home health care, home care services are the focus of the rest of this article. There are a number of things that you should consider before contacting a caregiver to look after your loved one. Does the Caregiving Service have a proven track record? Does the Caregiving Service have high recruitment standards? Do they check employee references? Do they screen for professional competence? Do they put a strong emphasis on compassion and companionship? Does the Caregiving Service provide continual training to ensure standards are maintained? Do they take care to match personalities, so that the client has full trust and confidence in the Caregiver? Will the Caregiving Service replace your Caregiver, if for any reason you are not happy? Does the senior management of the service take adequate time to ascertain your precise needs? Do they regularly monitor performance by frequent on-site visits? Taking time to reassure yourself of these qualities will ensure a rich and rewarding Caregiving experience.